Last month, I had the pleasure of meeting with our New York Alumni Association at the historic New York Yacht Club. It was inspiring to hear from dozens of Anteaters who are passionate ambassadors for our university. At the reception, I was joined by Travis Huxman, professor of ecology & evolutionary biology, and Abby Reyes, director of our sustainability initiative, to talk about sustainability research and practice on campus, and the important role alumni can play in shaping our future. In June, I’ll be traveling to our nation’s capital for a meet and greet with our D.C. Anteater alumni. If you’re in the area, I hope you’ll join us. And we’re planning visits to alumni groups in other parts of the country, so keep an eye out. UCI draws some of the best and brightest students who go on to accomplish outstanding feats in their fields. A shining example is Beth Malone, an alumna with an M.F.A. in acting, who was recently nominated for a Tony Award for her leading role in Fun Home. Behind the scenes, UCI information & computer science and M.B.A. alumnus Tim Kashani also may find glory at the Tony Awards on June 7. His company, Apples and Oranges Studios, is a producer of An American in Paris, which earned a dozen Tony nominations. Best of luck to these stellar Anteater alumni! 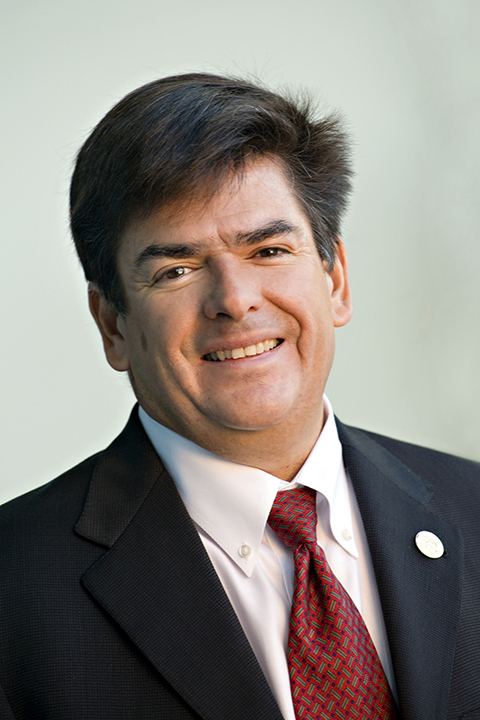 I am delighted to announce the appointment of Enrique Lavernia, UCI’s new provost and executive vice chancellor. Formerly a UCI Chancellor’s Professor and chair of chemical engineering & materials science, Lavernia returns to the Anteater Family from UC Davis where he most recently served as dean of the College of Engineering. Lavernia is an outstanding scholar and an accomplished administrator who has received the highest possible recognitions as a faculty member. His proven experience and leadership as dean demonstrates his ability to work closely with faculty, staff, and students to promote excellence and make a real difference in the world. I am confident he will help our campus realize its highest ambitions in his new role. Since our founding 50 years ago, UCI faculty members have been at the forefront of scientific advancement. Recently, Distinguished Professor of Chemistry Shaul Mukamel was elected to the prestigious National Academy of Sciences. Mukamel has been a trailblazing force in his field of theoretical chemical physics, probing molecules with ultrafast pulses of laser light to uncover the secrets of chemical reactions. He joins 25 UCI faculty members in the academy, including nine from the School of Physical Sciences. 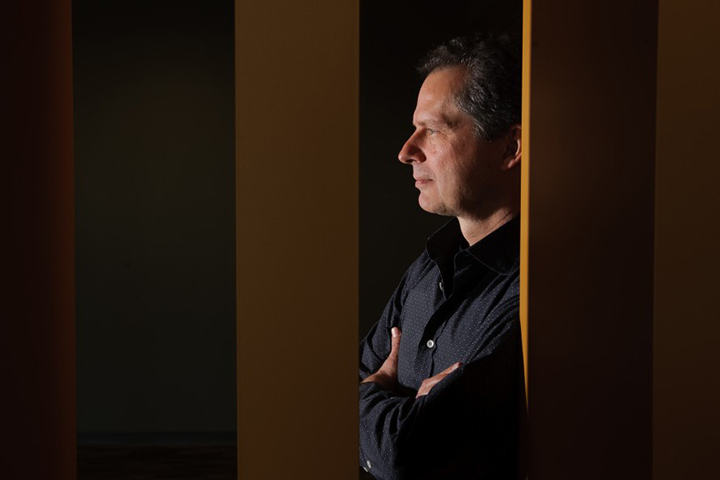 Another exciting announcement is the election of Distinguished Professor of Sociology Ruben Rumbaut to the illustrious American Academy of Arts & Sciences. Rumbaut is an internationally recognized pioneer who studies children and young adults raised in immigrant families. We congratulate Shaul and Ruben on their tremendous accomplishments! UCI researchers are actively studying and addressing critical water challenges in California and around the world. 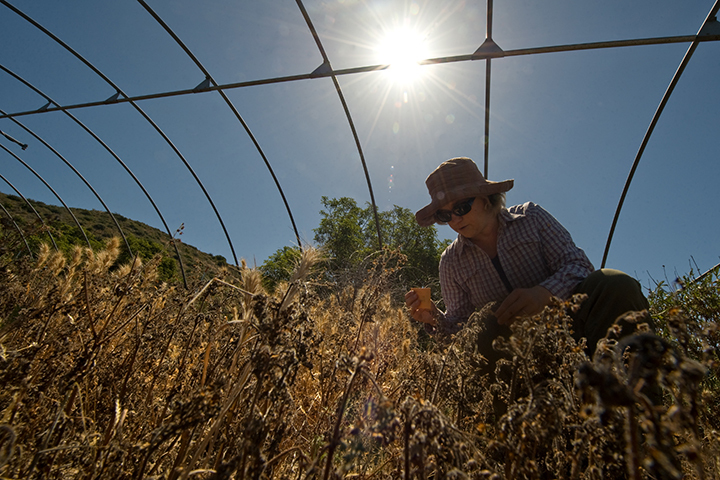 Last month, dozens of respected scientists and scholars visited UCI for a national conference on water and the California drought. The event was organized in part by Water UCI, our campuswide initiative that focuses on applied water science, technology, management, and policy to tackle local, national, and global water issues. At the conference, scientists shared their research on drought monitoring technology and long-term impacts of the drought on agriculture, energy, water supply, and the economy. The School of Humanities and the Claire Trevor School of the Arts recently announced the launch of the UCI Shakespeare Center. 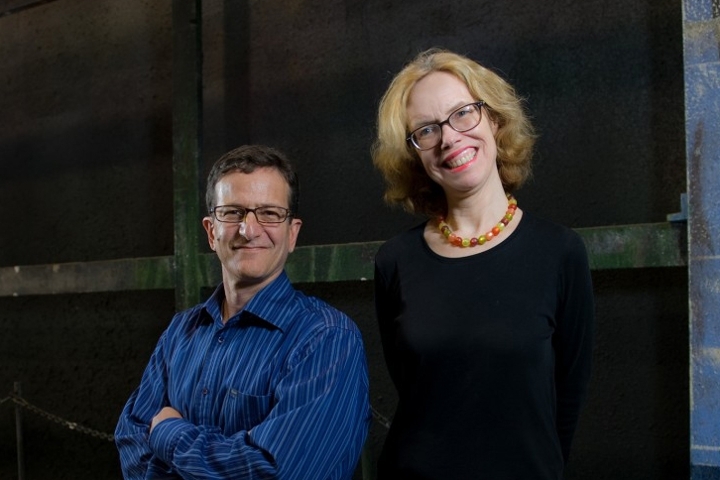 Led by Julia Lupton, professor of English and a trustee of the Shakespeare Association of America, and Eli Simon, Chancellor’s Professor of drama and artistic director for the New Swan Shakespeare Festival, the center aims to become the state’s foremost institute for the study and production of Shakespeare’s work. Throughout the year, the center will host lectures, play readings, panel discussions, and performances open to the community. Stay tuned for ways to get involved and take advantage of this wonderful resource. Around campus, a troupe of 40 graduate and undergraduate student performers in yellow shirts are ambushing their unsuspecting peers with short dramatic scenes from Romeo and Juliet, Hamlet, Twelfth Night, and other great works as part of Shaken Shakespeare, a surprise flash mob-style performance art program developed by Illuminations and the UCI Shakespeare Center. At the end of each short performance, the actors present their unsuspecting audiences with a card that reads “Congratulations! You’ve been Shakespeared!” You can watch some of these interactions on the group’s Facebook page. One of the most important and valuable skills a young professional or scholar can obtain is the ability to communicate effectively. Without that skill, some of the most brilliant ideas can fall flat. 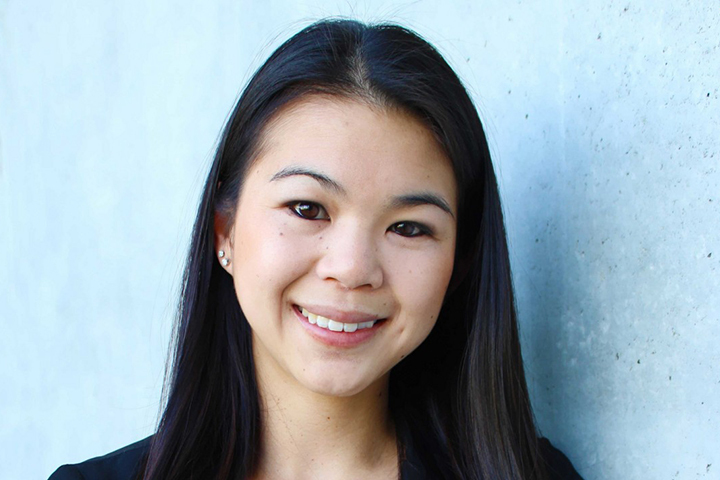 Recently, biology & biochemistry graduate student Ashley Fong won the first Grad Slam competition. Fong represented the Anteaters at the UC-systemwide event where grad students competed for their share of $10,000 in prizes by delivering an engaging, informative elevator pitch on their research in under three minutes. Fong’s poised pitch explained how stem cells can be used to mend a “broken” heart. You can watch her presentation on YouTube. At the Sue & Bill Gross Stem Cell Research Center and the Gavin Herbert Eye Institute, researchers are ramping up for an FDA-approved clinical trial of a treatment for retinitis pigmentosa – the leading cause of inherited blindness. The stem cell treatment developed by UCI’s Dr. Henry Klassen and Dr. Jing Yang will be administered by jCyte Inc., a start-up co-founded by the two faculty members. It will be the first clinical trial held at UCI to test a treatment created by campus stem cell researchers. To date, the team has received $21 million from the California Institute for Regenerative Medicine in the hopes of developing an effective treatment that would transform the lives of people around the world. Charles Limoli, professor of radiation oncology, has embarked on a new endeavor: studying the impact of long-term cosmic ray exposure on the brain. Limoli has discovered that astronauts on a mission to Mars will likely suffer from dementia-like cognitive impairments because of radiation exposure. The findings suggest that astronauts may no longer be capable of performing their duties by the time they arrive on the red planet. His research will play a vital role in planning future NASA space-exploration missions. UCI’s Institute for Memory Impairments and Neurological Disorders received an $11 million grant from the National Institute on Aging to renew its status as an Alzheimer’s Disease Research Center – one of only 27 in the nation and the only of its kind in Orange County. The center studies people with Down syndrome and Alzheimer’s disease, those with mild cognitive problems who are at risk for dementia, and elderly participants in the 90+ Study. With this award, UCI MIND will continue conducting important Alzheimer’s research and community education programs. The Paul Merage School of Business recently celebrated the grand opening of its new home – a 78,000-square-foot building on our main campus. The state-of-the-art building features a 300-seat auditorium, colloquia room, a 4,100 square foot terrace, a café and coffee shop, classrooms, conference spaces, and faculty offices. But what makes this beautiful new space a home are the people who donated their time, treasure, and talent to help build it. The new Merage School building, which will serve as the premier hub for business in Orange County, could not have been possible without the generous support of our donors, partners, and friends. It is among the first physical manifestations of UCI’s brilliant future and its impact can already be felt in the lives of our students, faculty, staff, and community members. Our 50th year has proven to be an exciting time in UCI Athletics. Earlier this year, our men’s basketball team won the Big West tournament and made their first appearance in NCAA March Madness. 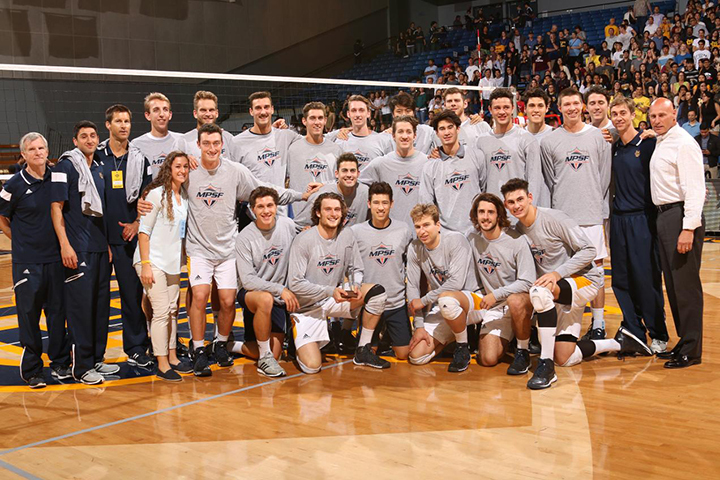 Now, UCI is celebrating the men’s volleyball team’s MPSF championship and NCAA semifinal appearance. UCI was second seed in the NCAA tournament and three of our volleyball student-athletes were named First-Team All-American. Please join me in congratulating our teams on their successful seasons. Next week, our campus will carry on our tradition of honoring veterans and military personnel with several Memorial Day events. On Tuesday, May 26, our Veteran Services Center will host the annual Memorial Day ceremony at the flagpoles. That same day, students, faculty, staff, and community members will join together to plant 8,000 flags in Aldrich Park to recognize those who have died serving our country. On Thursday, May 28, the center will host the 6th Annual UCI Veteran Appreciation Dinner and award the Thomas T. Tierney Scholarship and the Bridging the Gap military student scholarship to more than 20 student-veterans. This special event is an opportunity to show our appreciation as a campus community for students who have put their lives on the line to ensure our nation’s safety. All proceeds from the dinner go to scholarships and the Military Student Program Fund, which supports UCI veteran and military student resources. I hope you will join us in recognizing our U.S. heroes.